The first Cinematography moving pictures were shown Limerick in May 1897 in the Theatre Royal. 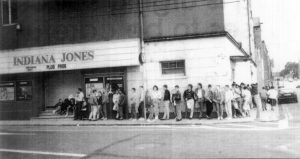 Up until the 1970s Limerick cinemas were a very important form of entertainment and as such there were many kinds catering to the varied population. Almost each district had its own cinema showing both the popular movies of the time as well as repeats from the past. The cinemas were not only used as movie theatres but as concert halls and dance venues. In the 1950s some of the Limerick cinemas were renowned for there “flea-pits” sections of the cinemas that were so dirty that you were bound to leave with a bite or two from some marauding insect. Now there is no full time cinema in the city centre, the nearest being the Odean in Castletroy, the Omniplex in Dooradoyle and Showtime on the Ennis Road. 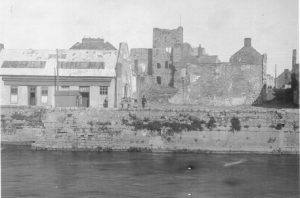 This was located on George’s Quay, this picture of the cinema (on the left) was taken in the 1930s, Fannings Castle can be seen in the background. This cinema was destroyed by fire in the 1930s. 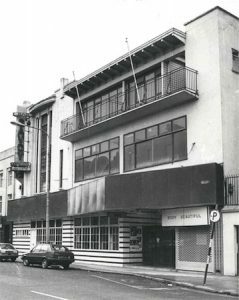 Athenaeum in Cecil Street was closed and reopened as The Royal Cinema in November 17, 1947. There was seating for 600 patrons. The first film shown was Cole Porter’s smash hit musical NIGHT AND DAY with Cary Grant, Jane Wyman and Dorothy Malone. 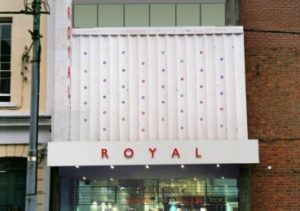 The Royal Cinema closed in 1985. This was on North Sexton Street in Thomondgate, it was owned by the O’Donoghue family who also owned a bakery across the street. It was a two tiered cinema with wooden benches on the floor and plush seats on the balcony. This was on the corner of Henry Street and Shannon Street and arrived in Easter 1940s. This was on O’Connell Street and closed in the early 1950s. The building now houses the Belltable Arts Centre. This was a cinema that opened on Broad street in 1919, where Phelan’s upholstery shop stood in later years. Grand Central, Later known as the Central Studios situated on Bedford Row, the building in which it stood was originally built as a Primitive Wesleyan Methodist preaching house in 1812. The façade of the church has become integrated with the new development on Bedford Row. This was situated on Glentworth Street, this closed in 1976. The building was demolished in 1981. This was built in the late 1940s on Sexton Street by two O’Sullivan brothers from Corbally. 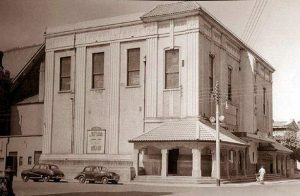 It was closed and then re-opened in 1953 as City Theatre. The building still stands and is used by Shannon Furniture today. Situated on Bedford Row this was the site of two cinemas of the same name. The first opened in 1935, with the film “Brewsters Millions” it closed in 1974 and was demolished in 1988. The second of which was most recent of all the cinemas in Limerick, it was built in the early 1990s and abandoned in the early 2000s. 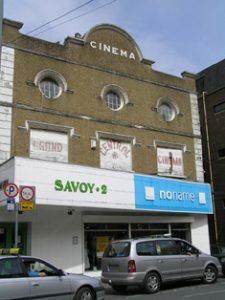 Above the cinema was a bowling alley from which the breaks of the skittles could be heard during the film. This Theatre stood on Henry Street, where Smyths toy store is today. It was firstly a Theatre but was used as a cinema in it’s later years, it was destroyed by fire in 1922. 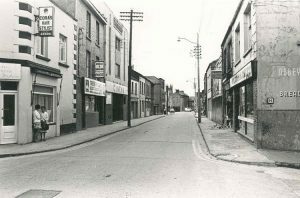 This was situated on Nicholas Street it was built in the 1930s, it can be seen here in a photograph from the early 1970s, third building on the left. Styx, snooker hall now occupies the building. This was situated on Charlotte’s Quay. Demolished by 1959. It is said that the old roof was used on the Curragower Boatclub. Limerick City Library Local Studies files on Cinemas. You say that the Lyric cinema closed in 1964. 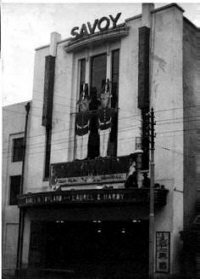 I arrived in Limerick in 1964 and my recollection is that I was “going to the pictures” there for a number of years before it closed. Thank you Dave, I’m sure coats as cushions came in very handy then. I can remember back to when i could sit on the HARD seats in Lyric for 3d. Its great to see pics of all the old cinemas. It’s a terrible pity that we no longer have a Cinema in the city centre. Thank you for the comment. We really appreciate when members of the community share their own history, so it means a lot. I didn’t know that about the Astor and the jam jars. 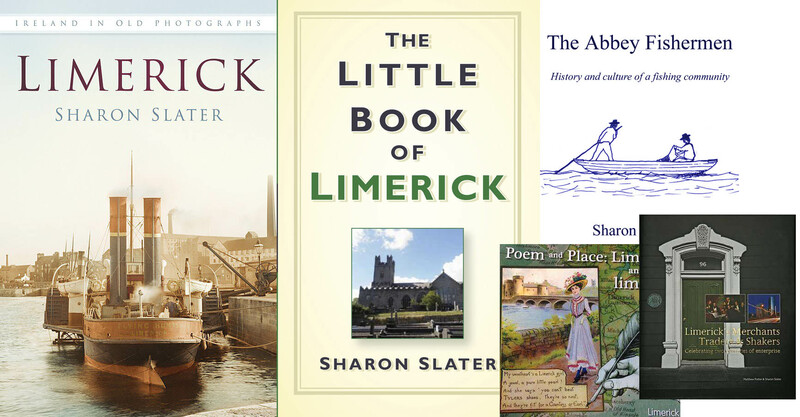 That’s a very interesting piece of Limerick lore. Thank you for sharing. My great-aunt was an usherette in the Grand Central. She had volunteered to look after me and my siblings every second Saturday afternoon while my late mother had a break from screaming kids. I reckon I saw every major release between 1963 and 1969. As for the Astor, I seem to recall that you could gain entry by arriving along with three or four 2lb jam jars – the earliest form of recycling I can recall. I was never inside it, having the benefit instead of free access to the more luxurious Grand Central.